There has been a shortage of car chases in adult cinema recently; The Town intends to eradicate this problem. But to sell the film short as nothing more than an action/crime caper would be a shame, because it will disappoint the audience looking only for chases and fail to reveal some of the deeper themes of the film. Ben Affleck has done an admirable job reshaping his career. From his start as a pretty boy to his role as Jennifer Lopez’s stripper pole in Gigli, Affleck certainly seemed deserving of his South Park nickname: Ben Assfleck. But then he stepped behind the camera for Gone Baby Gone, proving that he had the filmmaking chops necessary to craft a dramatic, gritty film. More importantly, he kept himself behind the camera, forcing critics to reevaluate his supposed ego. With The Town he remains behind the camera, but has adequately improved his acting chops so his turn as a star isn’t disappointing. That said, the film isn’t without its problems, and isn’t quite as deep as it hopes it might be, though it is competent all around. It is engaging, and certain aspects stand out as superb. There’s a suburb of Boston called Charlestown, and it apparently breeds bank robbers. 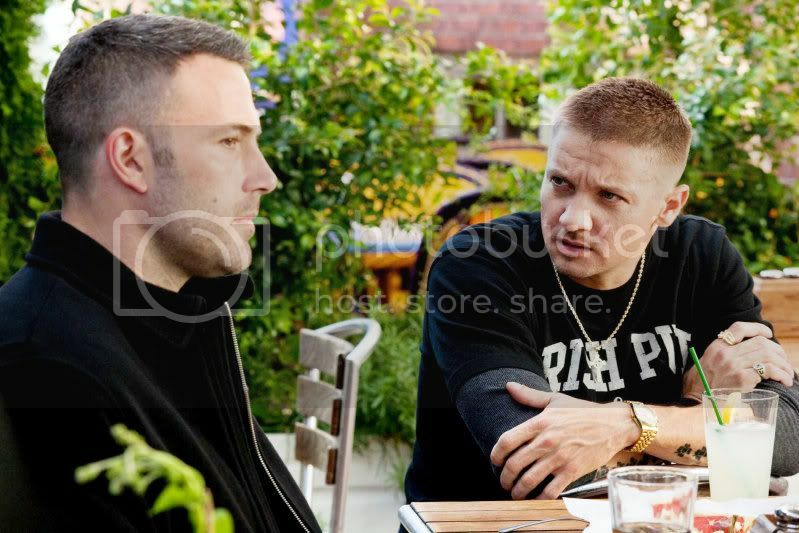 Doug MacRay (Affleck) and James Coughlin (Jeremy Renner, back in the spotlight after raves for The Hurt Locker [review here]) are two of these bankrobbers. They have been bred into this life; MacRay’s own father (Chris Cooper in a five minute role) is spending the rest of his life in prison for robbery and murder. An opening sequence details a well-planned and precisely executed heist. In the process a young bank manager named Claire (English actress Rebekah Hall, proving once again that an American accent is remarkably easy to conquer) is taken hostage after the silent alarm is sounded. Released unharmed, at least physically, she is immediately questioned by the FBI and its lead investigator, Adam Frawley (Jon Hamm). 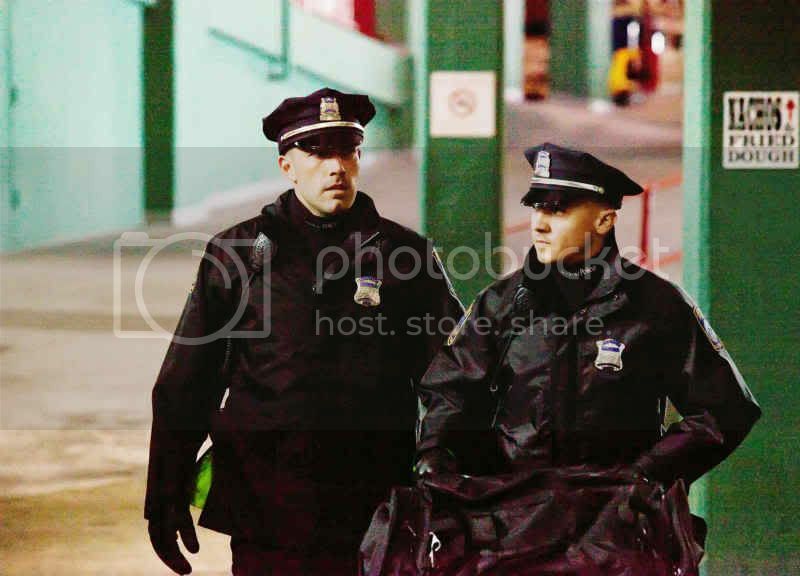 Soon MacRay and the trigger happy Coughlin are curious about what she might be able to tell the authorities. This is all initial setup for the majority of the film, in which MacRay strikes up a casual relationship with Claire to pry information from her. But this casual relationship soon becomes something more complex, primarily because MacRay is questioning his lot in life. He spends a good deal of time reflecting on his career path and the people who brought him in and keep him involved. Claire represents a chance for a normal life, for an escape he can’t find elsewhere. But he has sinned, and sinned a great deal. Eventually he will have to face judgment for his crimes, in one way or another. The Town carefully tries to tread the line between all-out introspective character study and action thriller. There are a number of bank heists, car chases, and shootouts, and the last half hour most reminded me of Butch Cassidy and the Sundance Kid. Fortunately there are a number of strong characters to keep the film from only being mindless entertainment. Blake Lively (at first just her bosom, then the rest of her) appears as Coughlin’s sister and MacRay’s old lover. Pete Postlethwaite has a sinister turn as the Florist, the local crime boss. Titus Welliver (you might remember him as one of “Lost’s” more enigmatic momentary characters) appears as Frawley’s right-hand man, a townie who turned traitor and started helping the law. Each performance ranges from effective to superb, even though certain characters (Coughlin, for one, who is a one-dimensional mess of violent anger and hopelessness) aren’t as fleshed out as others. 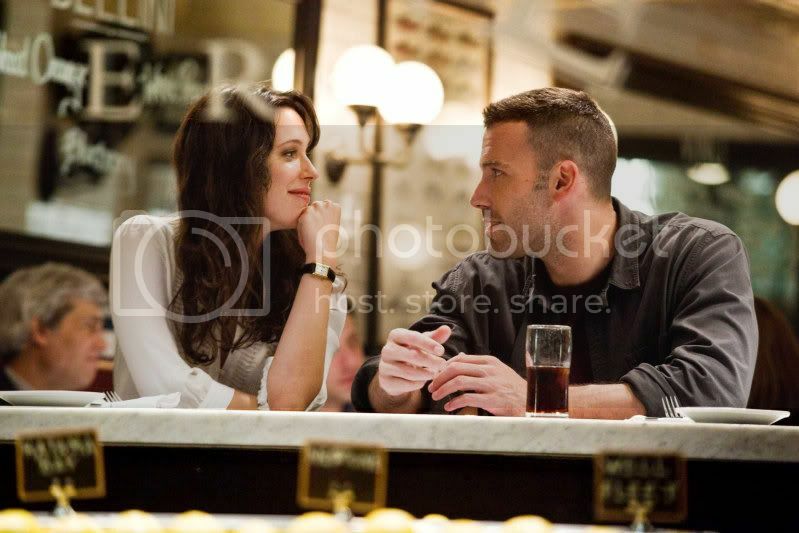 Affleck is surprisingly good, with a body to sell the role, an accent that doesn’t feel forced (South African and Boston accents tend to cause the most trouble for American actors), and an understated tremble that only occasionally belies his internal struggles. The production, too, is gritty and realistic. Location shoots and a sunless cityscape reinforce the despair the townies of Charlestown experience in their lives. But the film has a few problems that prevent it from reaching greatness. The story runs a bit long, and large sections could have been excised for a tighter, more cohesive experience. The first hour, aside from the initial heist, feels particularly bloated as Claire and Doug meet and start to see each other. Their numerous scenes often feel redundant, particularly as their relationship rarely grows convincingly deep. A bit of the story also feels less than credible, particularly a fantastical shootout that covers a large portion of the city. 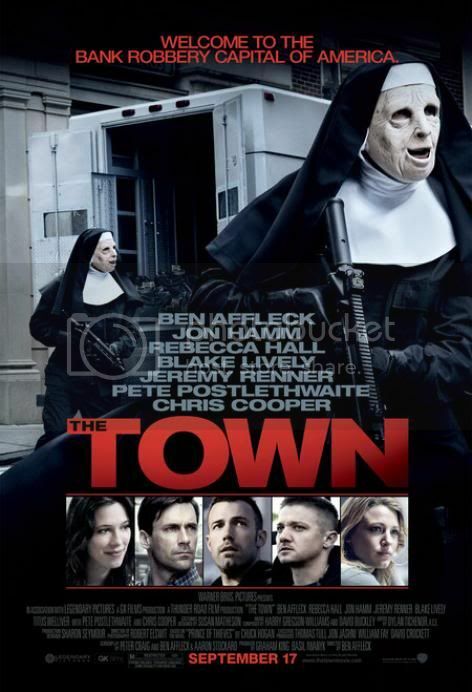 In spite of its flaws, The Town is a good film, and will engage a fairly wide audience on mental and emotional levels. It is not mere entertainment, and it is not mere intellectual gibberish, but manages to provide a blend of both. While the film is not be entirely deserving of any Oscar praise that may be coming its way in a few months, there are certainly worse films the Academy could honor. All the while it remains a worthwhile time at the movies for an adult audience not afraid to mingle introspection with their violent bank robberies. This entry was posted in 3 pirate flags, 3 stars, Movie Reviews, Pirate Flag Rating, Star Rating, T on October 2, 2010 by Tim Irwin.